The marina continues to buzz, with lots of comings and goings as well as a sizeable number of yachts that have been here for some time. Sunday was Hero's Day and very quiet in town. In the evening we ambled around only to come across a large, noisy procession of mostly young people, some dressed up, crowding around a few men playing drums and various other musical instruments. Everyone was dancing and merry from drinking grog. Paul was accosted by one of the heros (young men dressed as warriors in grass skirts) and coerced into "dancing". Such a pity we didn't have our cameras! As the procession moved on we walked around the back streets to an upstairs restaurant with a balcony where we could watch the parade go by from above. As it finished we were discussing how low key the police presence was when 6, maybe more, turned up in riot gear and efficiently rounded up inebriated stragglers in the side streets. On Monday the town came to life and it was time to get our passports stamped at the immigration office in the main port. It took us 3 goes before we found the office open. In the meantime, a cruise ship had arrived and the town changed into a tourist venue for the day, so we had to keep dodging souvenir sellers as we came and went. Once the cruise ship departed the town returned to normality. There are quite a few Europeans here but few signs of mass tourism. 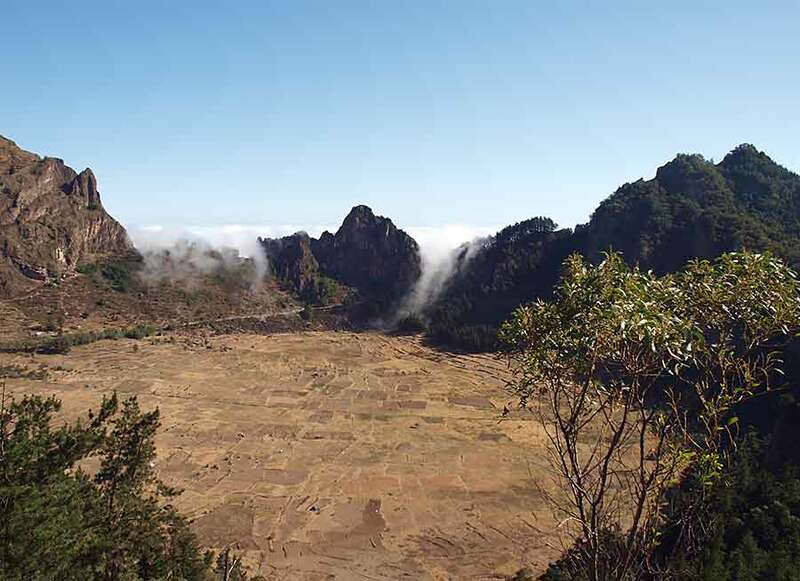 Santo Antao is the most northwesterly island of the Cape Verde group and just a short hop from where we are (Sao Vicente). It's highly recommended as a place to visit, but not for its anchorages. 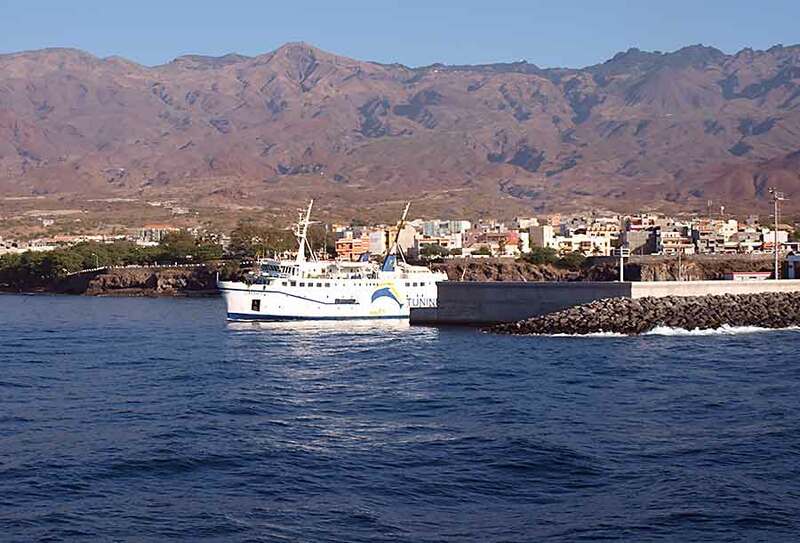 Fortunately there's a convenient ferry so we left Lynn Rival in Mindelo marina for a day and made the one hour crossing early on Tuesday. The channel between the islands is notoriously windy and choppy but the ferry is well stabilised. Once on the island we quickly found an English-speaking driver to take us for a tour of the well-trodden highlights. 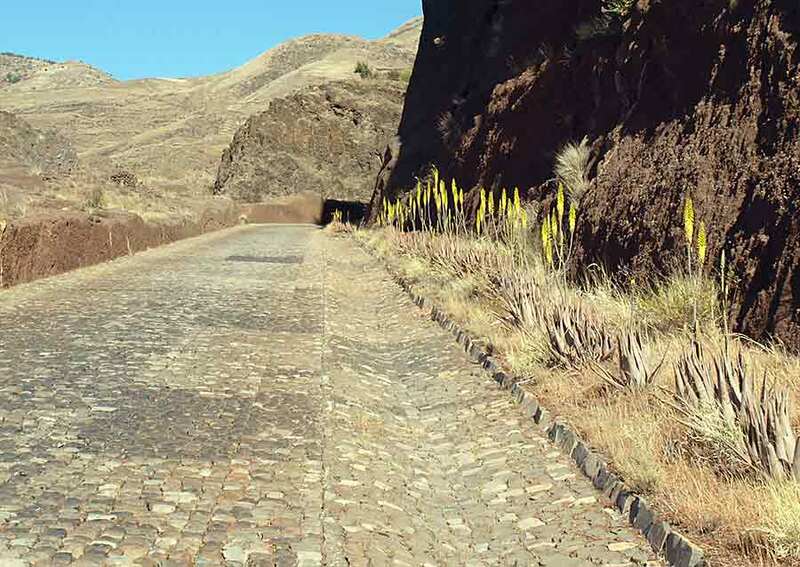 The old cobbled road from the ferry port to the north of the island is a spectacular feat of engineering built over 50 years ago. 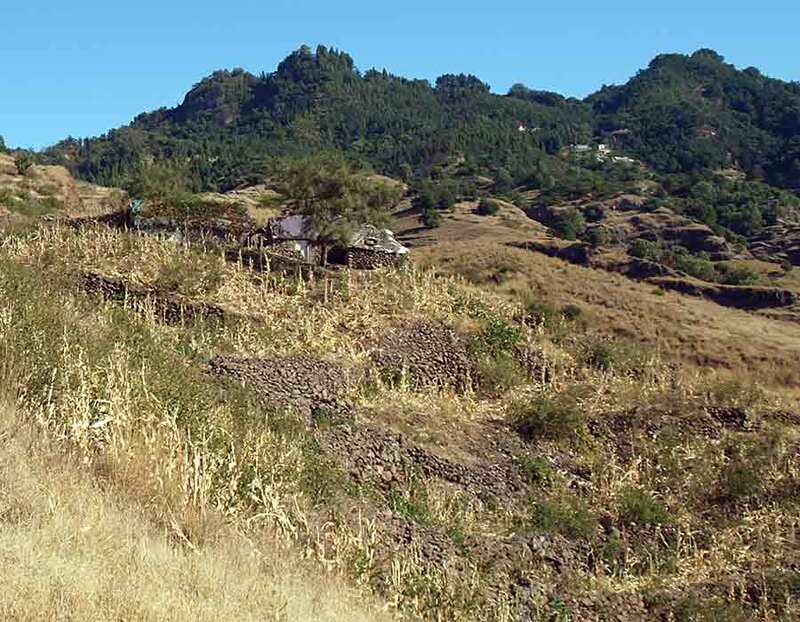 Climbing the south-east side of the island the terrain is barren with stark hillsides and dry riverbeds. Higher up there are valleys dotted with small houses and tiny fields of maize and beans. Higher still, trees, including pine, appear. 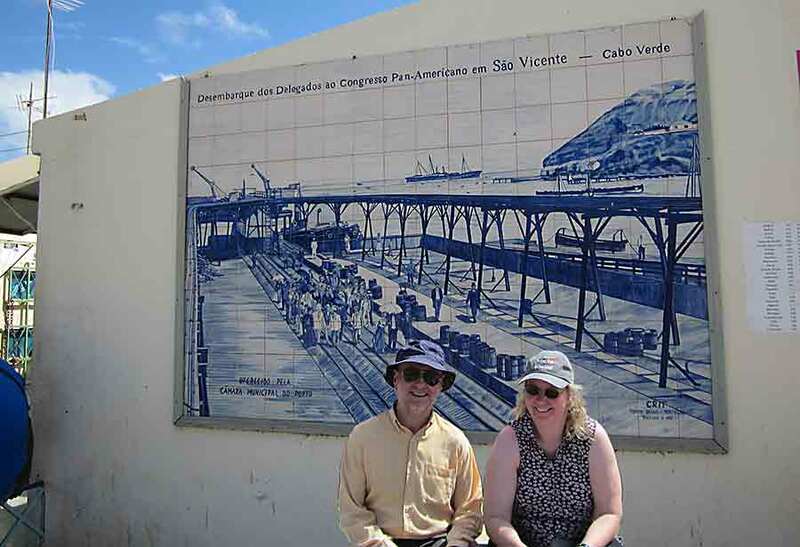 The views along the coast and across to Sao Vicente are breath-taking. Near the top the road passes by the Covo do Paul - a crater that is green and lush, criss-crossed with fields - and villages where cows as well as goats are kept, and donkeys are used to carry water jerries (or women balance them on their heads). The young children came to say hello when we stopped to take photos, happy and well-fed, chattering away in Creole. Nice front garden - I wonder what's out the back? Passing through the centre of the island the road twists and bends around terraced hillsides, crossing ridges with steep drops either side. This is not a tour for the vertiginous. 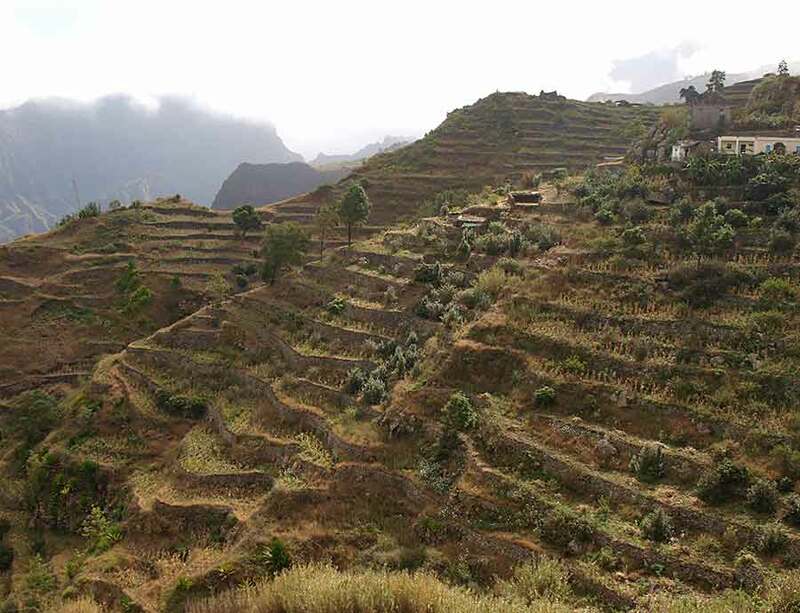 Much of the terracing appears to be on impossibly steep slopes and abandoned long ago. It's a wonder they were ever cultivated. 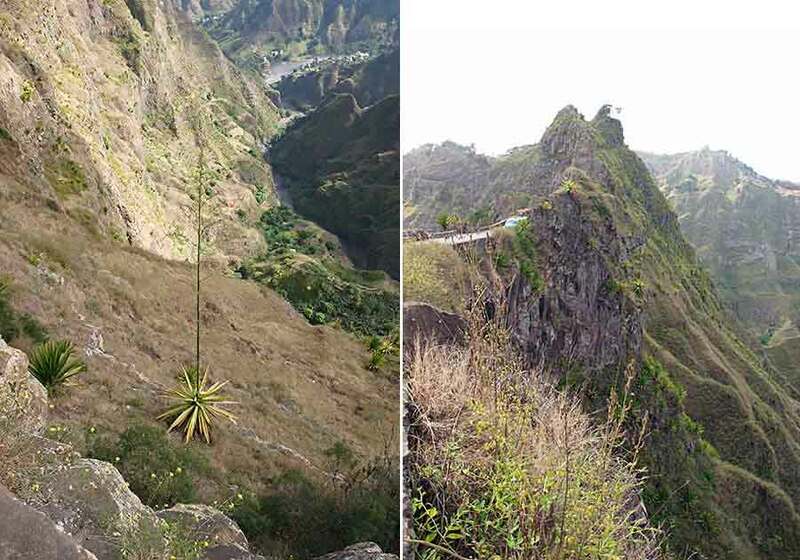 It's a long drop - but the yucca isn't bothered (valley to the East) . . . while to the West it looks almost as precipitous! 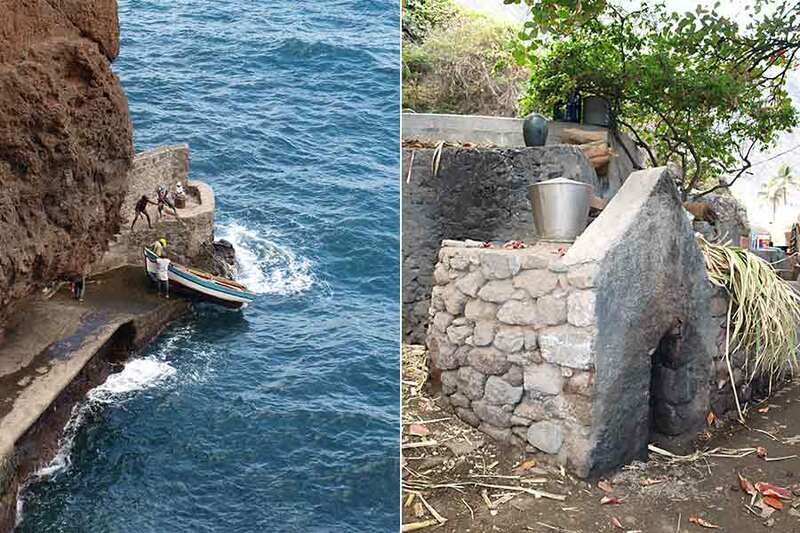 Approaching the north side of the island, valleys with banana plantations, fields of sugar cane, potatoes and other vegetables, and fruit trees of various kinds are more numerous. At the northernmost point is Ponta do Sol. 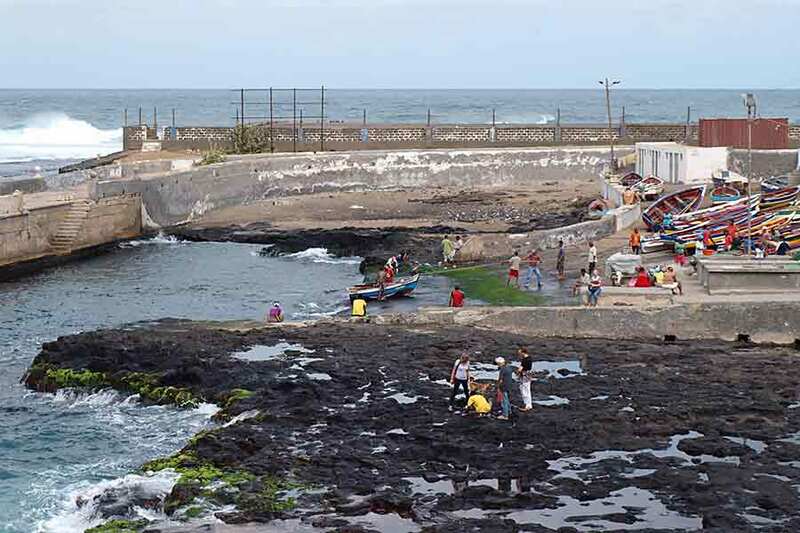 Apart from a disused airstrip on the beach, it has a small fishing harbour. Over lunch (fish, of course) we could watch the boats coming in with their catches. 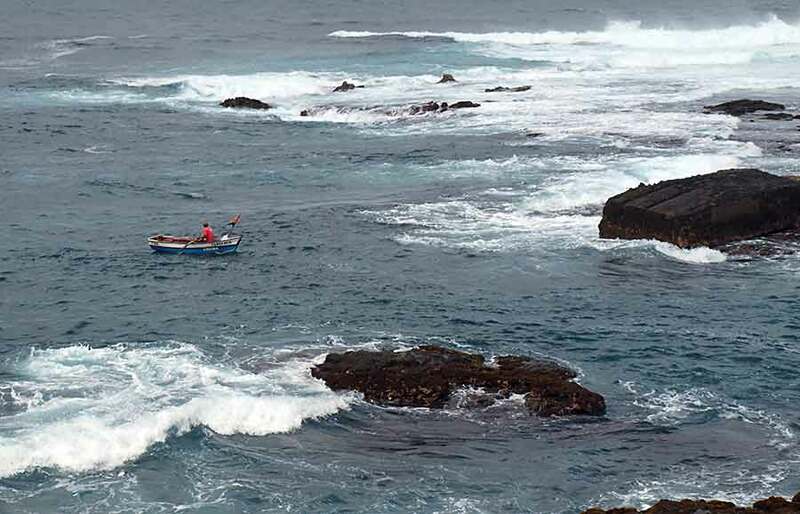 The water is very deep right up to the last minute and the swell makes it difficult for the fishermen to jump out at the right moment, grab the boat and haul it up the beach. 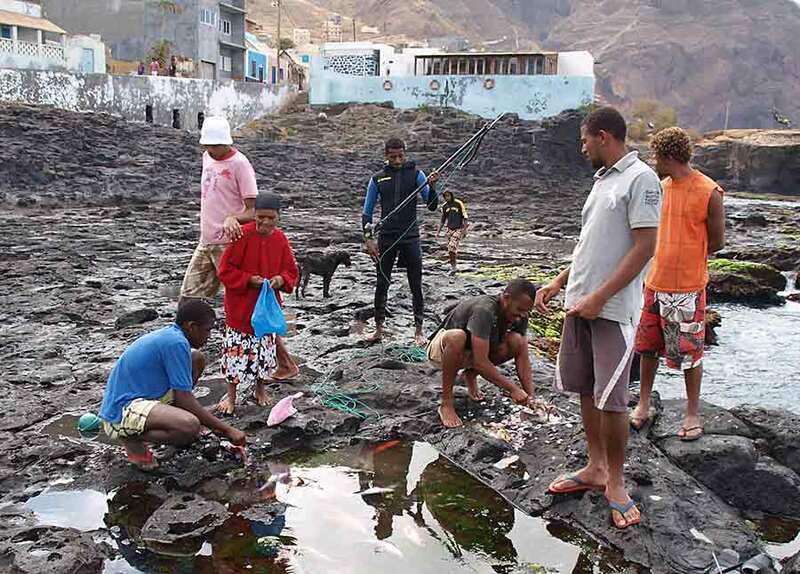 Once there's a line ashore everyone joins in to help, then they gather round to view the haul, which is offloaded into one of the rock pools before de-scaling and gutting. Bringing home the catch . . .
Once into harbour it's all hands to heave . 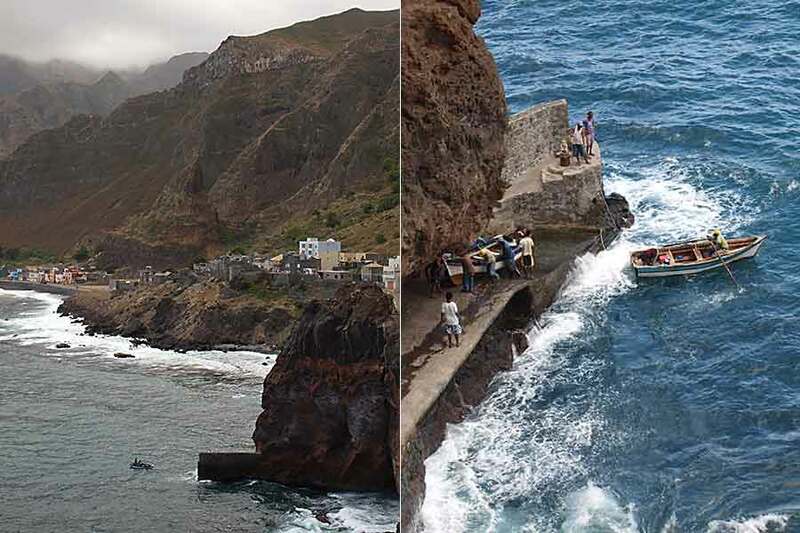 . .
After a brief look at Ribeira Grande, the island capital, we drove along the northeast coast, stopping at another small fishing 'harbour' where the fishermen were hauling out their boats onto a quay. Such hard work after a long day at sea. It's a community effort: everyone joins in to help. Harvesting the sea at another fishing village . . . . . . Is it my turn yet? It was then time to visit a traditional distillery. We were shown how they crush the sugar cane and boil it down to produce molasses syrup as well as distilling it for rum (grogue). As well as tasting the grogue we sampled it mixed 50:50 with molasses syrup, and also with locally produced passion fruit. 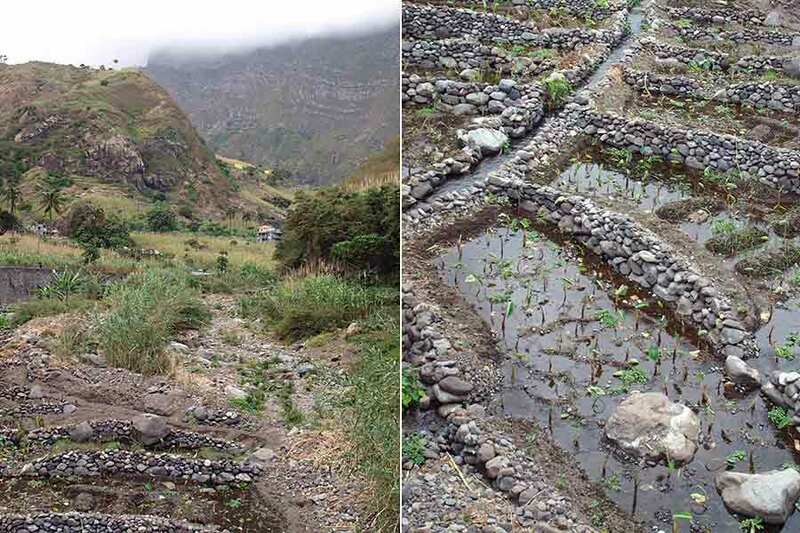 Finally we visited the Vale do Paul which has running water even in the dry season and a wide range of fruit and vegetables growing, including yams. From there it's only a short drive back to the south east of the island where little survives except goats. A new tarmac road with tunnels makes it easy to get back to the ferry. 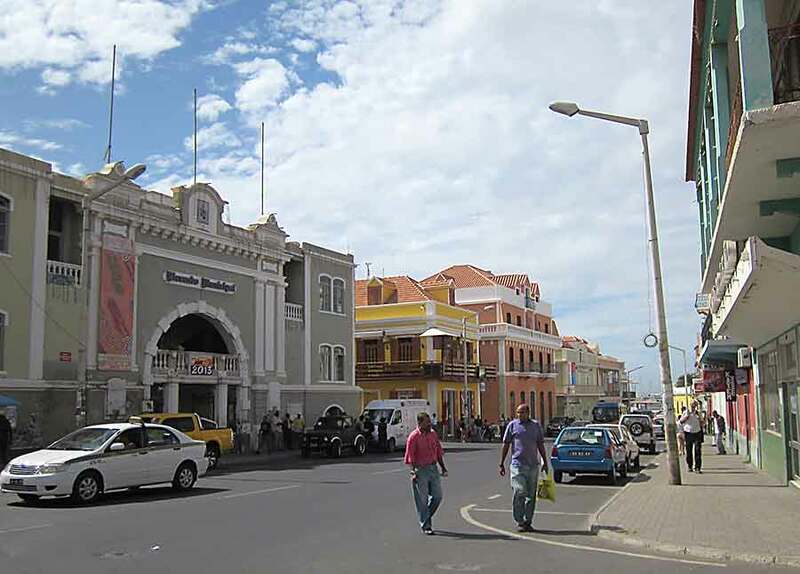 For the last couple of days we've been exploring Mindelo more, including the fresh produce markets. 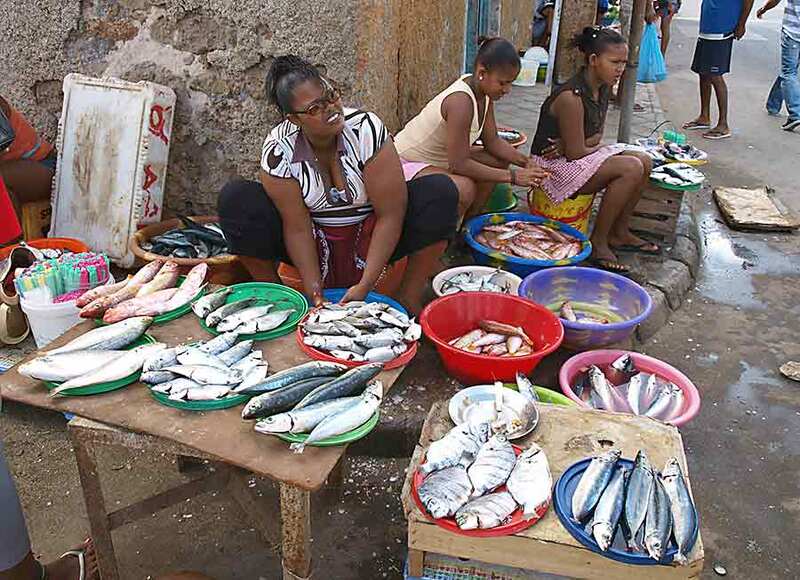 The indoor markets are well organised with a good variety of things but the freshest produce seems to be from the small stalls in the streets around the markets - though we've yet to buy any fish from the men selling them from wheelbarrows! We're now preparing to move on to Santiago island, 120 miles southeast of here, where Helen will catch a plane back home.